#CCIRA19: Are you a reader and writer? Are you a reader and writer? If yes, you won’t necessarily have ALL the answers but you will be on your way. If no, you may end up down rabbit holes, sucked into less productive work, and may feel like you are spinning your wheels! It may be more difficult to help readers and writers set goals leading to ultimate independence and transfer of learning. Why attend CCIRA? Super Positives about CCIRA include: sessions you can choose in advance, the time between sessions to network and the folks you meet along the way! Friendly, courteous, and helpful folks EVERYWHERE! What great learning combinations! Teachers must be knowledgeable practitioners. The more they know, the more learning they may crave in what ends up being a true life circle story. To begin with the beginning . . .
Laughter and fun filled the hall as Danny shared stories to illustrate his points. We chanted, sang and added actions to our singing! “Teachers are valued!” Teachers need all the tricks at their disposal to teach all students to read. To read confidently. To read joyfully. To read at school and at home. Are Our Workshops More Important Than the Children in Them? The session began with a read aloud and participant discussion. Again, what fun and a chance to get to know your neighbors. I was fortunate to be sitting by Kristin Ziemke and had a great time sharing some personal views on the need to consider some outdated practices that just need to end. I’m fascinated by this planning guide that Debbie shared that was used with a Chris Van Allsburg author study. The Focus? Student-Centered Planning. Planning that begins with the students. Beginning with the end in mind! YES! More joy. More knowledge needed by teachers in order to think about how best to organize these sequences for Teaching and Learning that sticks for students and allows students to grow confidently toward independent reading, writing and responding. Fun, joy, learning, reading, writing, and teacher knowledge. The need for this book / session stemmed from a paradox. They push kids to work hard. They introduce commonly read texts. It builds choice, engagement, and volume. It creates opportunities for growth. What do your students need? Is it one or the other or is it a combination of the best of both? Use your data (common sense data that can serve as pre, mid, and post test) to determine how to best meet the needs of your students. How do you help them all continue to grow as literate individuals? Kate proposed a great “boxes and bullets” argument for a combination that includes: Whole-class novel, book clubs, independent reading and a final project to integrate writing. What a win/win for knowledgeable thinking teachers! And what a way to build toward student independence if purposefully teaching skills in whole-class novels that students continue to apply with less teacher guidance in book clubs and independent reading – providing additional practice in a planful long term gradual release that builds to student independence and transfer across their reading lives. How to grow readers and writers? Be readers and writers . . . The examples from students and her grandchildren illustrated the difference among readers. We need to HEAR our students and be responsive! What an hour! The Hierarchy of Audience makes so much sense. A narrow focus on working for a teacher as a sole audience is at the bottom of this triangle and rightly so. Motivation and Engagement increase with real purpose and audience.This work connected strongly to Julie Wright and Barry Hoonan’s discussion of student curation in What Are You Grouping For? We drafted 6 Word Stories, created representations, and curated them in small groups within 20 minutes. What a hands-on experience that created additional conversation in the convention halls as folks viewed our work with markers, paper, cardboard, yarn and clothespins. Simple tools with a focus on learning! One of my thought partners for this session was Leslie Blauman who you will be hearing more about after tomorrow’s sessions. Setting learning intentions right at the start of the session allowed me to actually focus on my own learning goal (and less on the fact that I had been awake since 4 am due to the old “too excited to sleep”)! The definition of feedback that we were using is this. Patty layered in this research to allow us to consider the implications. Definitely a quote worth revisiting. I love the concept of feedback with a “mentory” feeling as evidenced by my deliberate repetition in this tweet. Feedback is complicated. It involves knowing end goals, keeping the research above in mind and building a “mentory” role in conferencing with a long term goal of student independence and transfer of the skills and strategies of writing! What a day! And tomorrow is equally packed! I value hearing the oral WHY from the author! I value the opportunity to revisit the learning in order to grow my knowledge and my thinking! I value the opportunity to build connections between what I think I heard and what I think I know! #CCIRA19 . 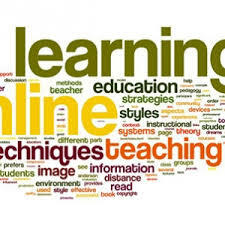 . . a great place to learn! Here’s what my schedule looks like for #CCIRA. Many Denver teachers are here even though their schools are closed or delayed. Yes, it happens even in Colorado! What will you be learning today? Was this the most memorable question of the day? Why begin here? Because Saturday was a ginormous day of learning at #NCTE17. My day was filled with nonstop sessions and meetings from 7:30 am until 10:05 pm. It was Saturday. I was in St. Louis. And let me repeat, “my day was filled with nonstop sessions and meetings from 7:30 am until 10:05 pm.” And it was Saturday. If you do the math, the answer is something like 14+ hours. Details: The first meeting was a breakfast. The last gathering was dinner. 15 minutes in between sessions to race from one end of the convention center and settle in for 75 minute learning opportunities… On a Saturday! My answer is #NCTE17. A conference that I choose to attend, at my own expense, in order to learn and grow professionally. A conference where I renew my professional “joie de vivre“. I chose my schedule (or does it chose me?). I make a plan or two. I continually check my list of “Must Learns“. Some items are topics. Some items are names. Names of people. Names of books. And the best intersection . . . authors of books from book chats or book studies. The books in my bag in my hotel room that I forgot to match up to my schedule to bring for autographs. Those authors. Those from whom I want to learn MORE! Personalized = my choice. Technology = those I have met on Twitter, Voxer, and blogs (that I now meet face to face). A lasting marriage of Voice and Choice on Saturday for 14+ hours of learning! Learning on my own dime and time. To learn more about Jacqueline Woodson, Saturday General Session, check out her website. Simply gorgeous keynote! Kylene shared that 80% of adults go to text in order to be right. So we need to teach HS kids that reading, entering a text, is an opportunity to change yourself. Lucy Calkins – “Live as if one of the pillars of your thinking is dead wrong.” Go to sessions, work with folks because if we only read our books and stay in our bubble – we will not be surprised and will not outgrow ourselves. Lester Laminack: Our children are 21st century citizens . . . ask Siri ‘Why do bees buzz?” (and he did on stage for all of us to listen to) How do we convince Ss to fall in love w/ books? That’s a question for your, dear reader! Lucy: We can grow as writers if we write along side our students when they are writing. We don’t have to be writers before we begin teaching writing. Kylene: Writing to tell or Writing to discover. We can’t and don’t write enough. We shouldn’t teach kids non-fiction means not fake which then turns to true…let’s teach them non-fiction means not fiction. Non-fiction can be fake, not because you don’t agree with it though. We read passages at 90% accuracy. They were tough to understand. Sometimes reading is tough. We need to acknowledge that. But we also need to make sure that students DO THE WORK! We need to set up those conditions of learning! Haven’t read it? No excuse! You can read about it here, here, and here. Gravity and Renee have this fiction and a nonfiction parallel book as well. Have you read them? Reflections on the books are included on a post here. JoAnne shared the journey of a particular student in her building who learned to read and was then given books when she moved from the school. Powerful and tear jerking reminders that our relationships matter. We have to be a part of our students’ lives. And then Brian had us read and think alongside his reflections on his student work! For more information about Brian and his work, check out this post. What would happen if you read every piece of student work just like you read every published book? Students do not want multiple choice tests. Students do not want to regurgitate facts. Students do not want to write essays every time to show evidence of their learning. Students do not want to sit in rows of desks. Students do not want to listen to lectures. Students do not want a two page writing limit. Students want opportunities to negotiate HOW to share their learning. Students want to explore their own interest. Students want to use technology. Students want to learn even if that takes more work. Students are less concerned about “fairness in grading” then they are about having choices in open-ended rubrics. (edited) For additional details about the individual presentations from this round table see Mary C Howard’s Facebook post here. It was such a pleasure to see the cover of Clare and Tammy’s new book and then to have Dorothy read Yo, Yes to us. We can find authentic ways to build in engagement and agency without “cute” worksheet pages! Tammy and Clare’s blog is here. And of course, ending with the Slicer Dinner! 16 bloggers (weekly and each day in March) meet up for food, fun, continued learning, and conversation. (Again . . . Personalized Learning and Technology) Thank you, Two Writing Teachers! What is your personalized learning plan? Does technology play a part? Are you ready to sign up for #NCTE18 in Houston? Such a joyful and auspicious beginning to 24 hours filled with joy. Three months since our last gathering and a full day of professional learning. And more precious time with dinner and continued conversation. A prelude . . .
and we thought about what we should continue to do MORE OF from past literacy education in order to “refocus” and “reframe” our work. Are the keynotes you attend always this joyful? Make a note to NOT miss out on a keynote by either Jan Burkins or Kim Yaris. It will be memorable! It was also my pleasure to sit in on Jan’s session about “Who’s Doing the Work?” When our students have plateaued, we need to rethink our instruction. One apparent cause is often “over-scaffoldization” in a rush to put “hard text” in front of students. Jan and Kim provide some incredible thinking points for you to consider as you think about the gradual release of responsibility and Read Alouds, Shared Reading, Guided Reading and Independent Reading. There is much to consider in this rich text and 90 minutes was a great “teaser”. How do you absorb information? Do you like to hear it first? Read it first? Combinations? I’ve read the book three times now and I’m set to reread it again. Some parts I may skim as I look for specifics about which students at which time as well as marking up some of the bullets. I am not doing this to “get ready to present this information” to others, but in order to better understand the processing of reading. That invisible work that happens in a student’s head. That invisible work that is often “magical” for some students and so elusive for other students. Teaching reading is complex. There’s no “ONE way” (methodology, purchased program, or philosophy) that works for all students which is why “thinking teachers” are necessary in every classroom to meet this goal. Students need to read (write and talk) a lot in order to meet this goal. 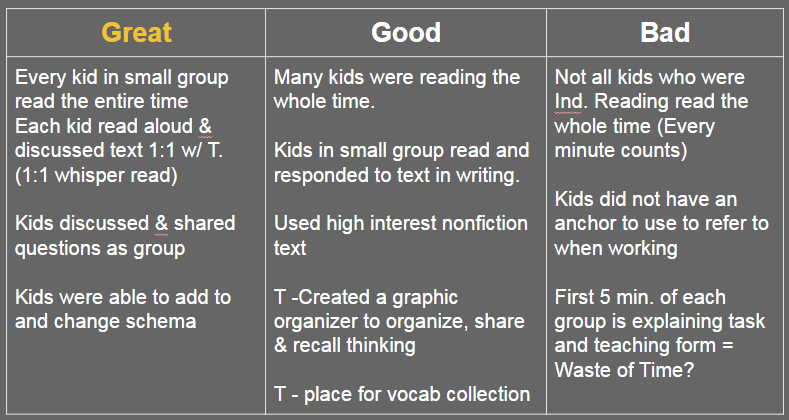 And Shared Reading is one of the most overlooked possibilities for student growth. But beyond that, thoughtful BALANCE is also required! 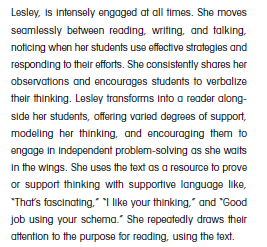 Balance in literacy instruction, balance across the day and in “real life” – not just a schedule that portions out bits of labeled reading without careful attention to the interaction of the student work. Professional growth is one of my passions. I have absorbed a lot of trivia from a lot of meetings during my decades of work. I read; I read a lot. I talk about my reading. I write this blog in order to check my understanding. I participate in books studies, Twitter chats, and Voxer conversations in order to grow and learn. I cannot and have not ever relied on professional development to appear on my doorstep. As a professional I have to continue to grow my understanding. I know when I need to learn more That means continued conversations. That means continued work on my part. Every day. Read. Write. Talk. Reflect. Intentionally. Purposefully. It’s NOT a google search, hunting through Pinterest, or buying stuff from TpT. It’s above and beyond scheduled work hours. It’s a commitment to personal learning. What are you talking about? And with whom? What are you learning? How are you growing? How do you know? How are you seeking out professional development? Are you following Jan and Kim on Twitter? The icing on this week’s #TCRWP Reading Institute was the final keynote by Jennifer Serravallo. Seeing Jen in Cowin Auditorium, back where she was once a staff developer, was amazing. The main metaphor for her speech was SNL – Saturday Night Live – and when in her life she has been different characters. But this tweet has really sparked interest. How much professional development does it take to LEARN something new? You can explore the source yourself here. And at “What Works Clearinghouse” here. Does that fit into your knowledge base? Today’s call for slices from Margaret Simon at Reflections on the Teche immediately makes me think of HOW one gets better. Previous posts about professional development are here, here, and here. I love learning. I love learning with friends. Therefore, one of the best tools that I use for professional development is Twitter because it truly is exemplified by this graphic. Learning. Identifying a topic. Identifying a need. Finding experts. Reading. Writing. Talking. Learning Together. There are many ways to “Better Oneself” and one of the fastest routes is through TWITTER! If you’re on Facebook, go to this post of Mary C Howard’s (author of Good to Great) for her Twitter 5-3-1 Challenge. So I’m posing a summer challenge that will take very little time. Follow five people you admire. Just find them on Twitter and click the follow button on the far top right of their page. Retweet or like three comments that inspired you. Just click on the comment and then the up/down arrows at the bottom middle and hit retweet (or like with the heart at the bottom). Make one comment to a tweet every day (even “Thank you.”) Just click on the left arrow at the bottom right and type. My only addition is to make it the 5 -3 – 1 – 1 Challenge. Weekly chats might be #TCRWP on Wednesdays or #G2Great on Thursdays. Monthly chats might be #TitleTalk on the last Sunday of the month. Additional chats like #TWTBlog may be scheduled after a series of blog posts. A Twitter Chat will give you an opportunity to “rub elbows” with the experts and grow your own knowledge base as well as your PLN. You will be amazed at the authors who are available to learn from as well as the inspiration, ideas, articles, and posts that Mary refers to above. You are at the crossroad. You must make the decision. How will you better yourself? Bookended by our Thursday and Friday evening dinners . . .
are over 16 pages of notes, hundreds of storified tweets, pictures galore and thousands of words. Words Matter. Words matter whether spoken or written. Words in the heart matter as well. As a #TCRWP aficionado stunned by the passing of Deputy Director Kathleen Tolan this weekend, I celebrate my learning about small group reading instruction last summer with Kathleen even though I still yearn for more. That gritty, passionate, talented, brilliant and sometimes “pushy” Deputy Director would want us to carry on . 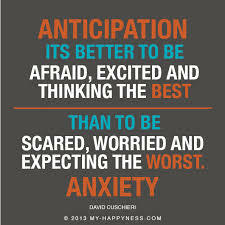 . . Make the students in front of you YOUR PRIORITY! FOCUS on students! The focus of this presentation was on the purpose of charts, ownership and environment, reflection and action. The two words that I heard over and over were “purposeful planning”! This is embodied in sketching out the steps to check clarity, the vocabulary used, and the ability of the chart to act as the teleprompter for the teacher. Of course, a crystal clear teaching point helps! One caution was to make sure that students’ voices were included in discovering learning together . . .students could contribute definitions, examples, and even make their own tools to use. Tools that begin in the minds of teachers become ideas that can eventually be handed over to the students. (Isn’t that what transfer is REALLY all about?) I’ve heard many, many, many TCRWP staff members say that when we introduce a tool, coach and provide support for a tool, we MUST have a plan for the tool to go away. Graphics in a chart are really meant to be replaced by pictures or names of your own students. Or even better, by students who make their own charts because they know the purpose and that’s good for teachers, students, and LEARNING! How do students ever learn enough words to improve their vocabulary? How do students become invested in their OWN learning? Who’s really doing the work in vocabulary learning? Too often when students say things that are untrue or unbiased, teachers jump in. Instead of the teacher teaching 24/7, maybe students should teach us so that they have the skills that they need for the rest of their lives! Step 4. Audition what you know. Try it on. Is this idea never true? Sometimes true? Always true? (or True for me? True for us? True for you?) Set up a place or way for students to go do this!!! Step 5. Revise and rename. What assumptions changed? Step 6. Spread the word. This presentation included opportunities for us to think about shifting our beliefs, taking note of vocabulary words, increasing our word curiosity and consciousness and “settling our souls in teacher church”. Shana Frazin told us that “English is her superpower and Hebrew is her kryptonite.” If we think of a word in another language, how does that add to our repertoire? How does working with “categories” help students access MORE words. And then Katy illuminated some FUN, JOYOUS ways to find a few minutes to incorporate vocabulary work. . . in a closure – share, in a mid-class tip, in spare 5 minutes before the bell rings or even a simple conversation like . . .
Other work – paintings or artwork. Vocabulary work that has student learning and ownership as the goal WILL stick with students. Vocabulary work that has “correct answers on the quiz” as an end goal . . . NOT so much! So what happened to the big beautiful balloon? Student Choice increases energy and excitement to make the balloon soar. Test prep brings the balloon back to the ground. The ideas of writing give them energy. What do you think of when you hear professional development? Who is it for? This session included conversations about learning for teachers, parents, and students. Learning, fun, and choice are necessary ingredients for multi-dimensional opportunities for all to grow! Summer school included learning for teachers and the students! Dear Reader, Are you still here with me? At this point we were off to the #HeinemannPub reception for the #TCRWP Reading Units of Study Libraries, the #StenhousePub reception for authors, and then dinner with #G2Great Voxer cousins! Many miles of words and ideas heard, considered and studied! So what caught your attention on this overview of Friday’s learning at #NCTE16? When were you nodding your head and saying, “YES”! And a “Paul Harvey – the Rest of the Story” video here . . . How Friday ended! Today’s story is the final installment in this week’s recounting of a focused professional development opportunity that our literacy team developed and delivered that included Quality Instructional Practices, ELA Iowa Core Standards and Assessment for Learning. To recap, the first post began with much Anticipation on Day 5. And then based on learning with Dave Burgess, Teach Like a Pirate, I shared the Instructional Strategies Bracket on Day 6 that Dyan Sundermeyer created and used to refocus attention on common strategies in a building. On Day 7 I shared the work that we did around Quality Instructional Practices based on scenarios in Chapter 1 of Dr. Mary Howard’s Book. So for those of you that live and breathe in the world of professional development or coaching, here are a few more details to whet your appetite. Our PD work continued with looking at two specific ELA standards through the K-5 range and considering these questions. How do they build on the previous grade level learning? What do they require of teachers? What do they require of students? Anchor Standard RL.3: Analyze how and why individuals, events, or ideas develop and interact over the course of a text. Anchor Standard RL.7: Integrate and evaluate content presented in diverse media and formats, including visually and quantitatively, as well as in words. 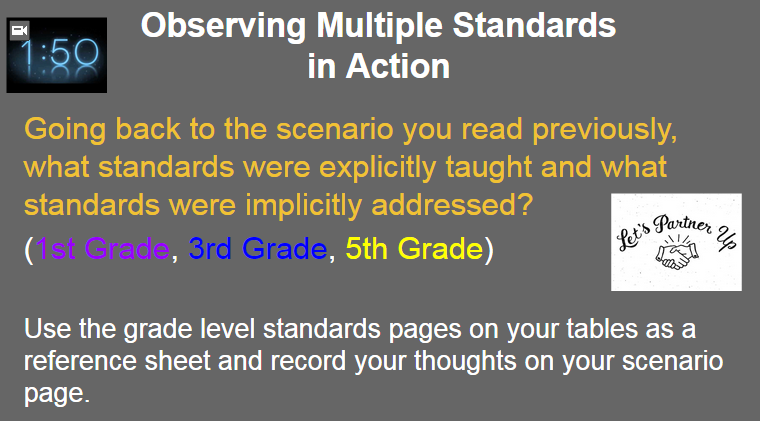 The teachers and administrators reread the scenario through the lens of “which standards” and then checked for grade level standards on those color coded documents. Possible answers for grade 5 include: RL.5.10, W.5.10 and SL.5.1. Time was going to be an issue so our plan was to just begin with Learning Targets and provide an opportunity for our participants to work on those before we meet again. I’m going to stay with the “plan” as time did necessitate some shifting. We had some learning around the big definition of “Assessment for Learning” including Learning Targets and the fact that “clear goals” is .75 Effect Size (Hattie). 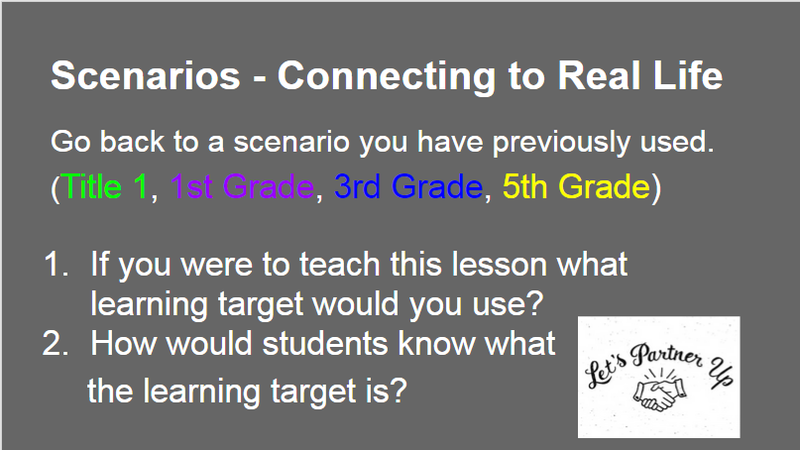 Clear learning goals are absolutely essential for learning and assessment but we did not go into the difference between “goals” and “targets” at this time. Here is how the scenarios were used for the third time (close reading). And the finale learning activity for the session involved watching a video of classroom instruction and in a triad looking for 1) “Great, Good and Bad; 2)Iowa Core ELA Standards and 3) Learning Targets. Can you identify the iterative nature of our work? How do you have teachers grapple with the HOW – Quality Instruction and the WHAT – ELA Core Standards simultaneously? How important is our design of GREAT work? 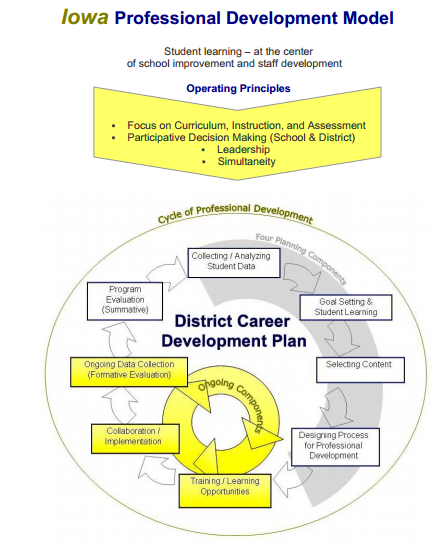 How do you model GREAT work in your PD? The story of Thursday’s professional development session continues here. 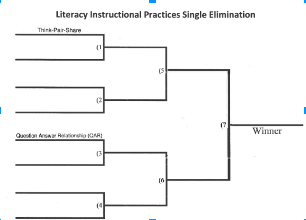 Yesterday you saw a fun activity with Instructional Strategies Brackets. Today’s post provides a window into “quality” of instruction! How do they know what to improve? How can teachers be given an opportunity to rethink, reflect, and revise with support? What is it? How do we recognize it? 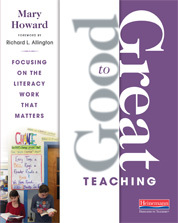 One way: Look for great, good and bad instruction as defined by Mary Howard in her book Great Teaching: Focusing on the Literacy Work that Matters. Chapter 1 is available free when you click on the sample tab HERE! We used the window into classrooms where teachers guide us through a process of evaluating, adjusting, and elevating their teaching. This grade 5 example of an initial teaching sequence (from the free chapter one) began our conversation. Teacher leadership teams time read the scenario, recorded some examples in columns for “Great, Good, and Bad” and then discussed their thinking with colleagues. Conversations were rich with text examples often cited (close reading!). We then looked at “What did this teacher define as “Great, Good and Bad” in her initial teaching sequence?” (You will note that we have flipped the form as we want everyone to reread the GREAT column many times.) 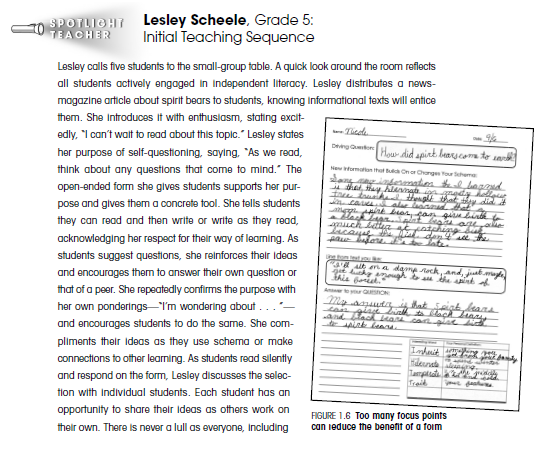 The teacher columns looked like this and we made sure to note that the learning includes the conversations about the instruction and not an evaluation. “Teach vocabulary at a different time. Make an interactive anchor chart. There is an “after” narrative in the chapter that we asked our folks to read and then discuss what changed for the students and the learning. Here is the teacher’s view of the follow-up instruction. 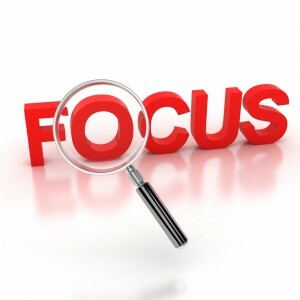 Focus questions: How are you using the time instructional time that you have? How are you increasing the GREAT Quality Instructional Practices in your classroom? And remember Chapter 1 of Great Teaching: Focusing on the Literacy Work that Matters is available free when you click on the sample tab HERE! Check out the writers, readers and teachers here. Thanks to Stacey, Anna, Beth, Tara, Dana and Betsy at “Two Writing Teachers” for creating a place for us to share our work. What strategies are in place in your building? Have all teachers “revisited” the strategies that may have been a part of previous training? What would teachers say right now? What would that discussion sound like in a faculty meeting? What would be used as the “winning criteria”? How rich would these conversations be? This bracket was begun with two ideas already included: Think-Pair-Share and Question Answer Relationships (QAR). Both of those have been included in work from the Iowa DE Academies in previous years. You could easily give teachers one that was completely blank at this time of year when brackets are in play for state athletics and March Madness! What if the principal / instructional leader in the building took the teachers’ strategies from the brackets and tallied or charted a status of the building based on the frequency of “seeing those strategies” in action in classrooms? What if the principal reported his/her findings back to staff? What if that data became a part of planning for future PD sessions? Teachers using strategies could “partner up” and lead a short session for peers about the strategy and how they use it. A quick review of the purpose, theory, and research could benefit all learners. Teachers could then have the opportunity to plan how they would use the strategy themselves. Relevant PD led by peers! Collaborative teacher leadership in action! OR consider how you review strategies from previous year’s PD sessions. Which strategies should teachers be using? How can they be reviewed in a FUN and yet engaging, useful way as an example for classroom use! Thanks, Dyan @dyansundermeyer, for not only sharing your learning but also for using your learning within our PD! For additional ideas about content area use of brackets in math, literature, art, history, see Dave’s ideas here. How could you use brackets to spark a debate or deepen content conversations?